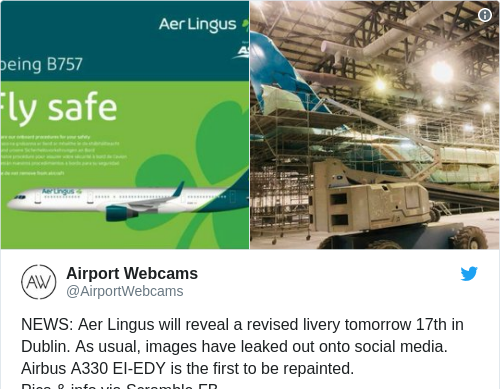 NEWS: Aer Lingus will reveal a revised livery tomorrow 17th in Dublin. As usual, images have leaked out onto social media. Airbus A330 EI-EDY is the first to be repainted.